Hi all! I don't know about you but I'm super happy it's Friday...and not just because it's the weekend- although that does garner some major points :)- but because it's Fab Friday over at Tiddly Inks! Since this Friday also happens to be the 13th we thought we'd go for a spooky type of feel- don't know how well I achieved that here but I think Betty Belfrey could be kinda spooky if she wanted to be :) I whipped up a fun clean and simple design on this that I actually kind of love in the end! 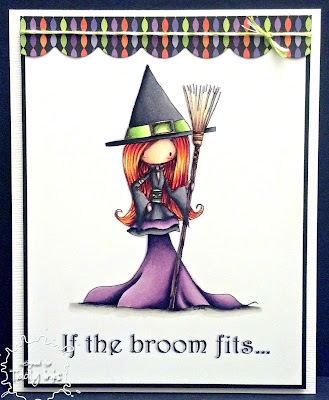 Plus a fun little sentiment that I just typed up on my computer- love to do little play on words around Halloween- there are so many fun things you can come up with. 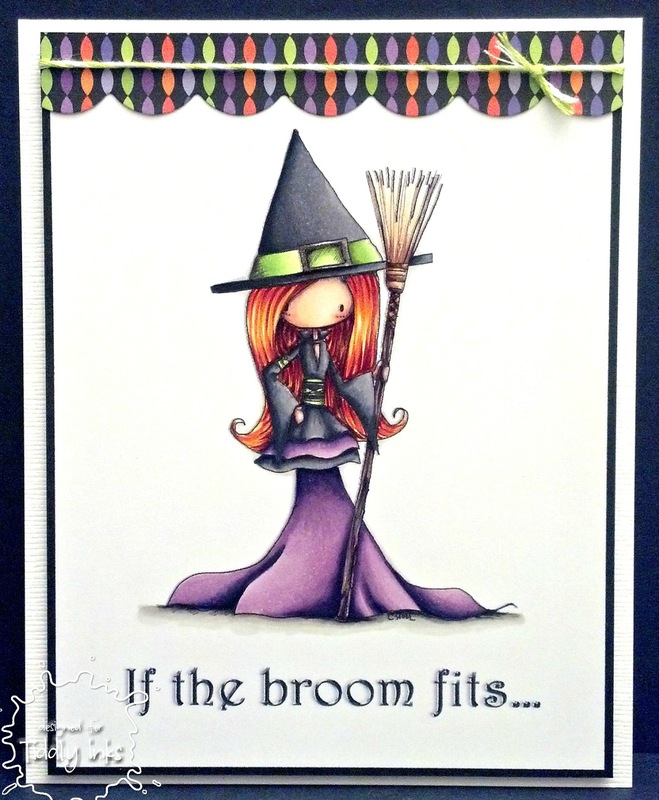 Ooh, this is such a fabolous Halloween card Katie, I just love it! Your colouring is gorgeous and I love the strip of design paper at the top of the card with the cute twine tied in a bow around it, it's such a gorgeous detail! love this image, beautifully colored! She is wicked!!! Love your color choices! I am going to have to try that hair color combo, it's so fun! Great job! 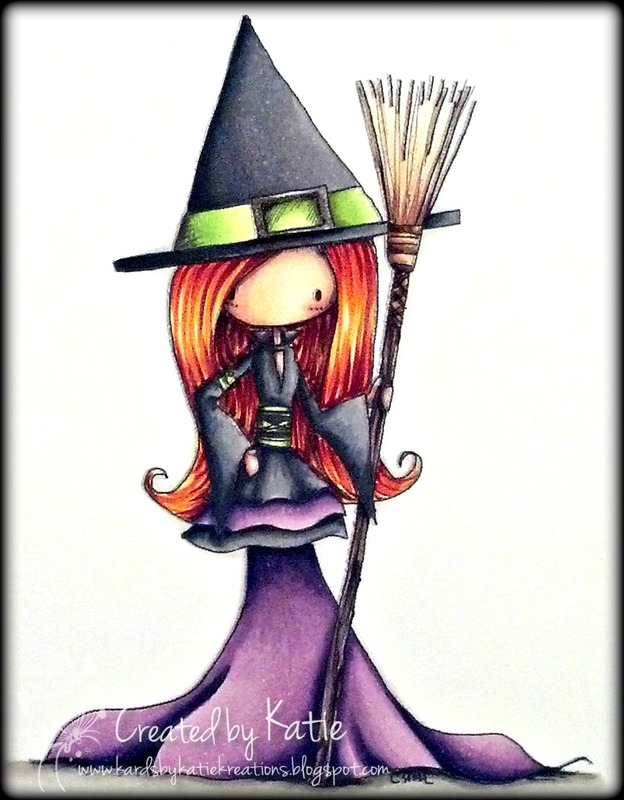 "Totally Wicked" card and FABULOUS coloring! Thanks so much for joining us at The Sisterhood’s ‘DEVINE DIGIS’ challenge and please come back again soon!